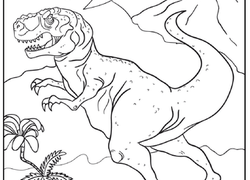 What kid doesn’t love learning about and coloring dinosaurs? 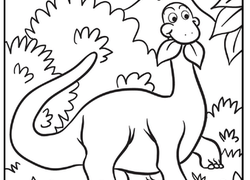 We have the perfect dinosaur worksheet or coloring page for your little Jurassic lovers, from color-by-number and connect-the-dot activities to dinosaur matching games, math worksheets, and inspiring story starters. 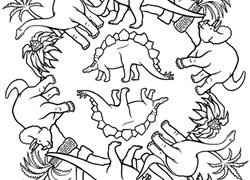 Your young paleontologist will have a blast learning all about these fascinating prehistoric creatures while getting some essential skills practice along the way! 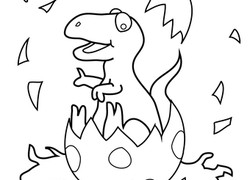 Travel back to the Jurassic Period with this printable dinosaur set! 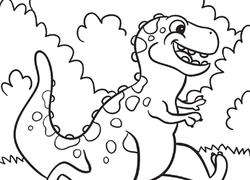 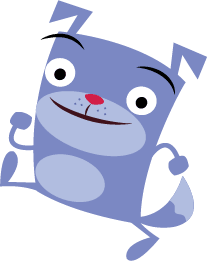 Your little adventurer will love to color and cut out these ferocious friends. 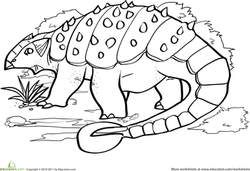 Try an ABC connect the dots worksheet for kids needing fun alphabet practice. 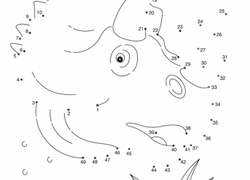 There's a dinosaur in this alphabet!